From Parts and Service to Installation and Support, we are here to meet your needs. We stock and support the newest products offered by Siemens in the Hicom & HiPath families, AVST, Plantronics, GN Netcom, APC, Interalia, Polycom, Kentrox, and Adtran, as well as the legacy products no longer manufactured. From the Classic & 600 Series Rolmphone, to the Optiset and Optipoint phones and adapters. 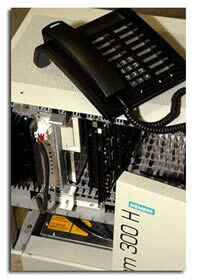 We carry all Siemens Hicom / HiPath / Rolm cards & systems throughout the product ranges. 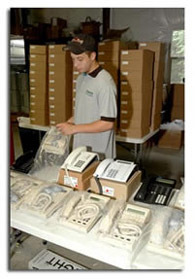 Our warehouse is stocked with both new and heritage products, including phones, cards, and complete systems. We offer both new and refurbished phones and equipment, for both current and heritage products, and all of our equipment comes with a standard 18 month warranty.